For most of us, stories of domestic violence involve two people in a relationship and turn of events that for some reason, drives one of them to inflict pain to the other. The story ends, if it turned out for the better, with the offender made accountable for the abuse, and a sense of liberation to the victim as the abuser spends time in jail. But what happens after this? Do the victim and abuser completely part ways never to see each other again? 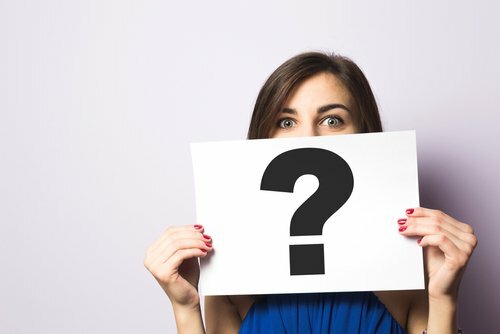 Unfortunately, it isn’t, while specific prohibitions depending on the jurisdiction exist, certain circumstances may call for the abuser and the victim to still communicate – the children, finances, or an ongoing relationship. After spending some time incarcerated, the offender is also bound to re-enter society. This session’s resource speakers talk about domestic violence cases after an arrest was made. Lydia Newlin has 3 decades worth of experience specializing in corrections-based victim advocacy. She is the Program Manager for Minnesota’s Department of Corrections Victim Assistance, Restorative Justice and Domestic Violence Initiative. Meanwhile, Jeri Costa is a victim advocate for more than 40 years and is currently the Community Victim Liaison with the Washington State Department of Corrections. 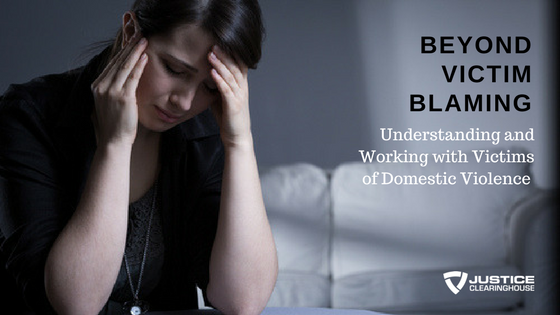 The significance of having an effective domestic violence process that looks into the threat posed by the offenders and the safety of the victims. 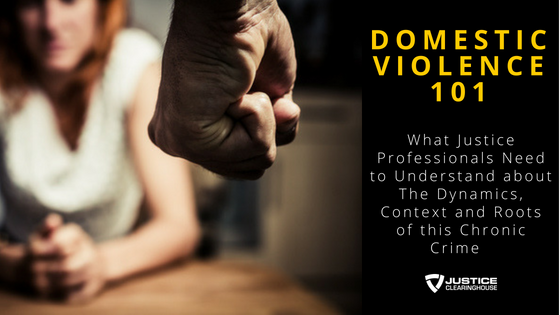 Understanding the circumstances that the victims are subjected into which prevents them from leaving an abusive relationship. Developing a proactive approach that starts with an accurate screening process and thorough information gathering to identify risk and threat, and incorporates a victim inclusive release-reentry planning. The importance of providing options, resources and individualized safety and release plan congruent with the victims’ varying needs. Tips and best practices for an effective victim safety screening process. The reality that abuse continues even when the offender is already incarcerated. Why victims recant and minimize abuse experienced and a study conducted by the University of Washington that was able to identify the progression where victims are turned into accomplices. Excerpts from victim interviews and focus groups that illustrate the intimidation and manipulation the victims go through. The appearance of “change” in the offenders and seeing these not as a change but mere adaptation to incarceration and their limited control to the victim. Barriers to victims reporting unwanted contact due to misconception, miscommunication, jurisdiction issues and the cost-benefit of having to seek protective orders. 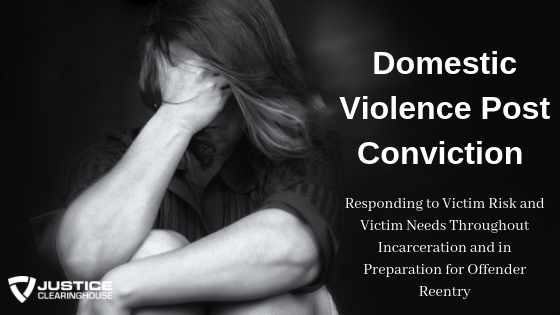 The roles played by the system based advocate, the corrections facility and law enforcement, and the importance of communication and collaboration of the victim with these agencies to ensure victim safety. Washington’s Safe Release Plan and Safety Wrap Around Process, and the different tools used by Minnesota’s Department of Corrections to take care of both the risk and threat from intake to reentry. The screening tool recommended to be used. 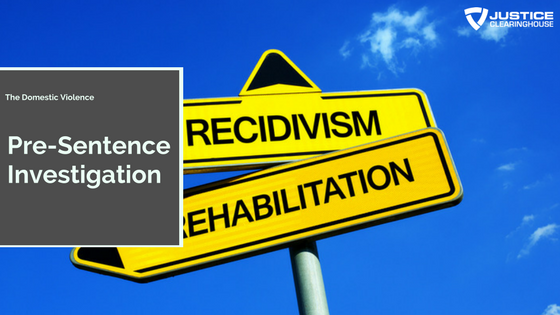 Recidivism in domestic violence cases. When to initiate victim involvement. Aspects often overlooked by corrections and probation. Collaborating with the Department of Corrections and its counterparts.